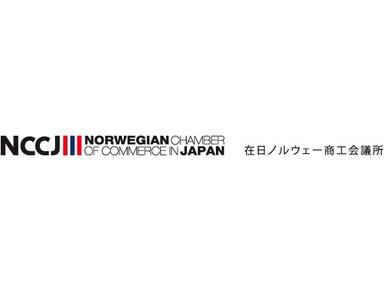 The Norwegian Chamber of Commerce in Japan’s mission is to provide a professional and social environment for business people who wish to be introduced to, and become a part of, the Norway-Japan business and culture community. By providing relevant business networking opportunities and encouraging dialogue between members, we seek to create a community of peers where actively participating individuals – enabled by the NCCJ – are inspired and supported by the larger community. In short we wish to become the most important organisation for Norwegian-Japanese business people in Japan. To create a forum for social and professional networking for our members. Members regard this function as an excellent opportunity to increase their client base and share experiences among fellow members. To act as a channel between members and the Norwegian and Japanese authorities on particular topics of special interest to our members. Through our membership in the European Business Council (EBC) we represent our members views regarding important issues that should be lobbied towards the Japanese Government. We also cooperate closely with the Royal Norwegian Embassy, Norwegian Trade Council and Norwegian Seafood Export Council. Provide a base for information and contacts to Japanese and Norwegian companies and individuals interested in business with Norwegian or Japanese companies or individuals. Most activities focus on members’ meetings and Chamber seminars either in the form of evening presentations or business lunches.